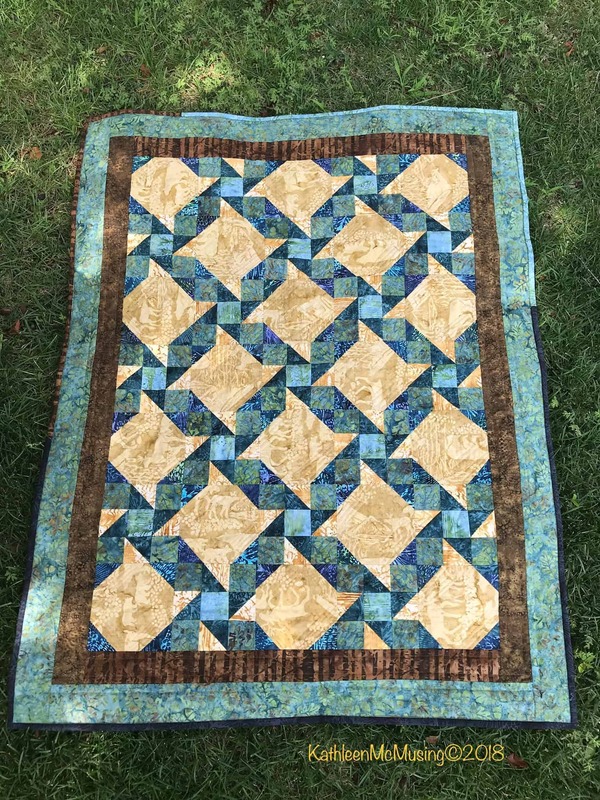 Here is my second entry for the September 2018 Bloggers Quilt Festival at Amy’s Creative Side. 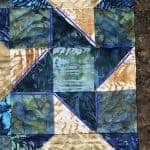 It too was another Island Batik project – a challenge to create a secondary pattern (the fabrics, thread and batting were supplied by Island Batik and their associates – Hobbs and Aurifil). 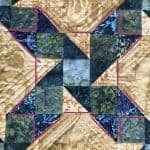 I like the simplicity of the Friendship Star and the Snowball block, both used in the quilt. Also pleasing to me, was that the secondary pattern mimicked the friendship star! 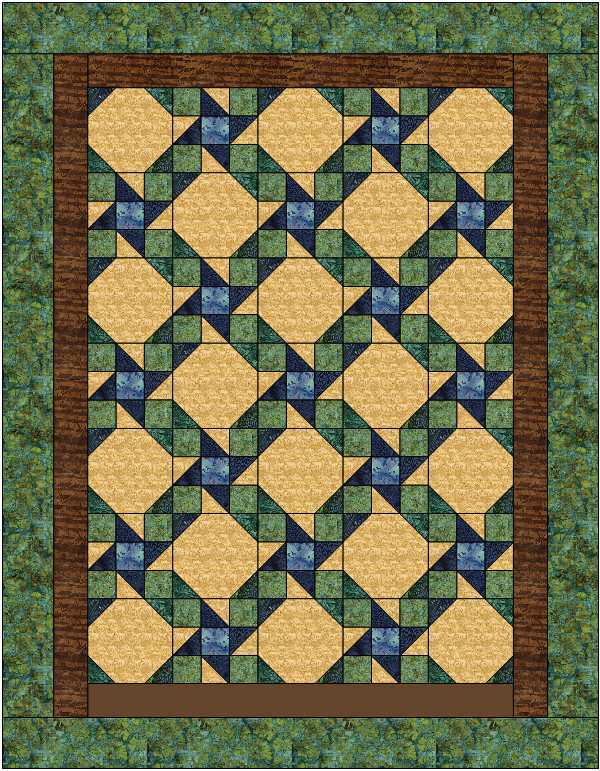 This design, too, started in Electric Quilt, EQ8. I don’t really love drawing quilts, but find it much faster to play with the design on the computer. You can see the three patterns that show up. 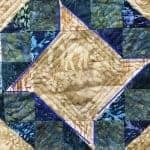 There is a Friendship Star, a Sawblade Star (similar but smaller points that the Friendship Star) and an Eight Pointed Star. The last was a surprise, and a little hard to see – but it is there. UFO #1 for 2016 is finished! Interesting video graphic you added to this post. 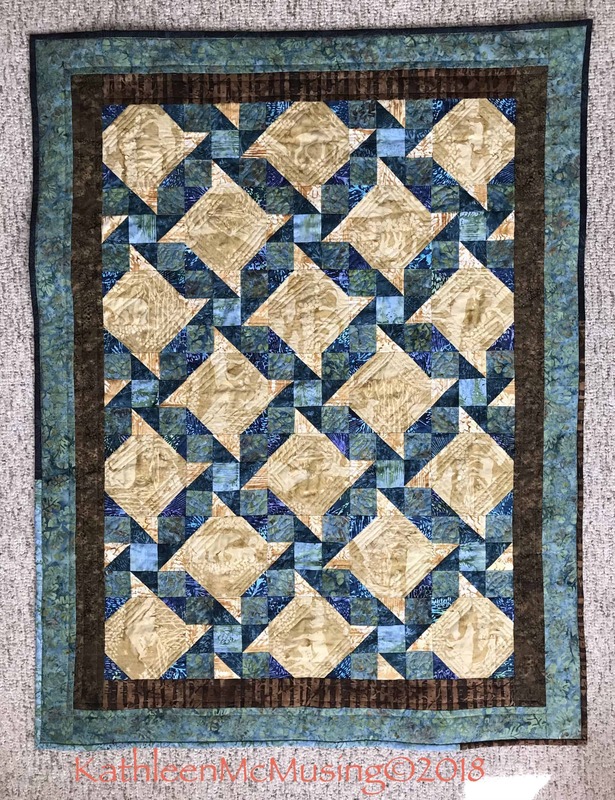 A real classic beauty of a quilt! WordPress makes this pretty easy. I like pointing things out that I think might be obvious but often others can’t see. Love seeing this one. I like the pattern and the fabrics! It really is a fun one. It will be at my guild’s show in a few weeks – real labeling is on the task list for this week! These colors play so well together, and the pattern is great! Thanks, Brenda. It was a fun pattern to create! Love the colors. It’s a pretty quilt. Thank you. I enjoyed making it. I love the colors and the hidden patterns. Great job! Thank you, Kar0n. It was great fabric and a fun experiment. It’s a beautiful quilt. I’m glad you shared it again with us! Thank you, Yvonne. I love the way it turned out.